A classic picture book based on a poem by August Kopisch. 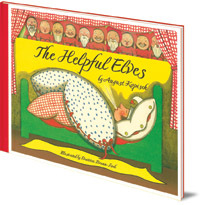 Printed on thick, quality paper, it features delightful cut-out sections of the elves' heads on each page. The helpful elves do all the work for the lazy people of Cologne. Until one day the tailor's wife becomes curious . . . This classic picture book is based on a poem by August Kopisch (1799-1853), who specialised in re-telling popular legends. It is brought to life with humorous illustrations by Beatrice Braun-Fock (1898-1973). Printed on thick, quality paper, it features delightful cut-out sections on each page. 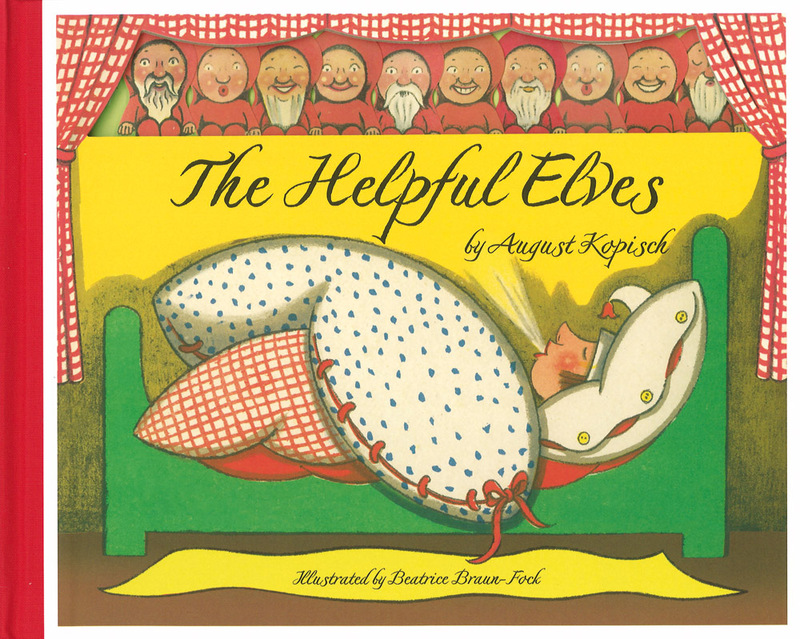 'Based on a well-known poem by Kopisch (1799-1853) and illustrated in muted tones by Braun-Fock (1898-1973), the charm of this tale lies in the tiny elf tabs found at the top of each page. Together in a row, 10 elves are perched expectantly -- each made distinct with a different smile or a long white beard -- forming a miniature audience to watch readers. One can almost hear them gleefully giggling at the comeuppance they know is coming at the end. August Kopisch (1799–1853) specialised in re-telling popular legends. Beatrice Braun-Fock (1898–1973) illustrated over 50 children's picture books between 1919 and 1960.